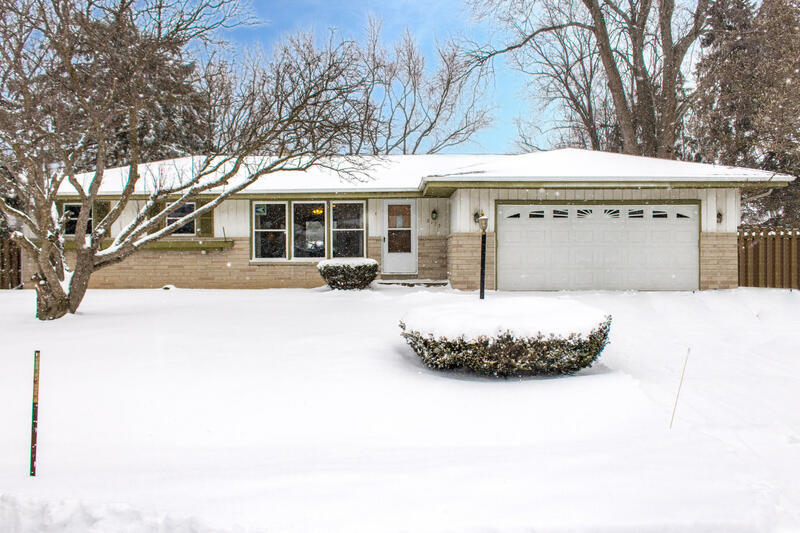 Conveniently located great Greenfield ranch with attached garage and fenced in yard. Nice floor plan with both living and family rooms. Updated flooring, newer appliances, windows, mechanicals. Large rec room in lower level with additional office space. Covered outdoor deck provides shade or rain protection. Near shopping and restaurants. Welcome Home! !